Director Steven Spielberg's dinosaur blockbuster starring Sam Neill, Laura Dern and Jeff Goldblum. Eccentric scientist John Hammond (Richard Attenborough) plans to open a theme park populated by live dinosaurs which have been genetically engineered from DNA found in a preserved prehistoric mosquito. 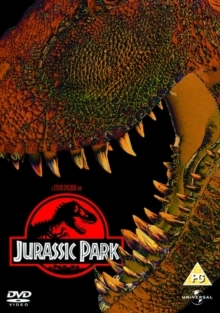 Archaeologists Alan Grant (Neill) and Ellie Sattler (Dern) are invited to view the park, along with chaos theory expert Ian Malcolm (Goldblum), only to find themselves being hunted when the dinosaurs break free.